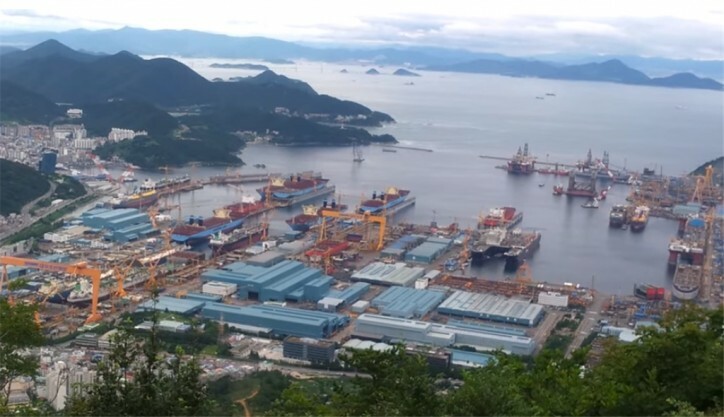 Korea’s major shipyard Daewoo Shipbuilding & Marine Engineering Co. (DSME), said earlier today that it has clinched a 927 billion won (US$818 million) deal to build five container vessels. In a regulatory filing, Daewoo Shipbuilding said it will deliver the vessels by March 15, 2020. The shipbuilder did not reveal the name of the buyer. Daewoo Shipbuilding said the deal includes an option, but fell short of providing further details. With the latest deal, Daewoo Shipbuilding has secured deals valued at $2.57 billion to build 23 ships, which is equivalent to 56.2 percent of its annual order target of $4.57 billion. Industry sources said the buyer of the ships may be MSC, the world's second-largest shipping firm. An earlier report has said that two South Korean shipbuilders -- Samsung Heavy Industries Co. and Daewoo Shipbuilding -- are expected to win a combined US$1.5 billion in deals.